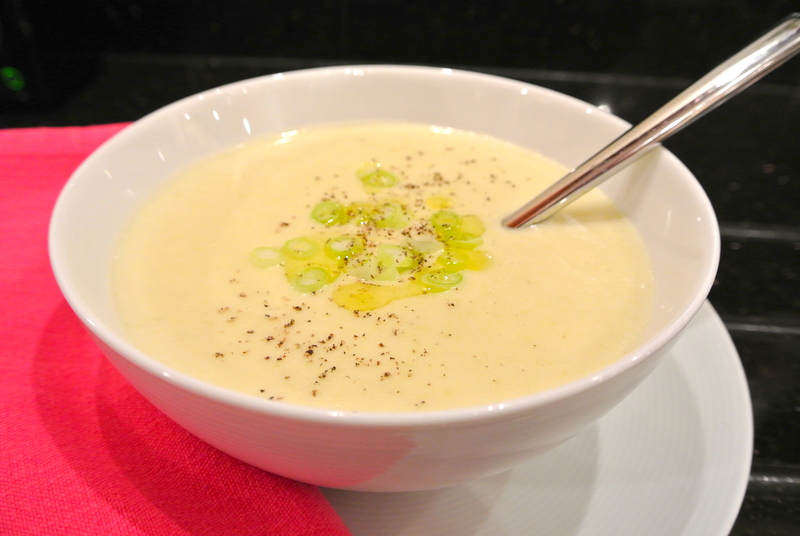 Well actually it’s leek and potato soup, the slightly less refined British relative of Vichyssoise, none the less lovely for that, just more appropriate for this time of the year. It has the most subtle leek flavour and is very simple to make, so coming home from a cold morning on the plot it would be ideal to make for lunch. Having said that we had it for supper this evening with homemade focaccia. This recipe serves two people. 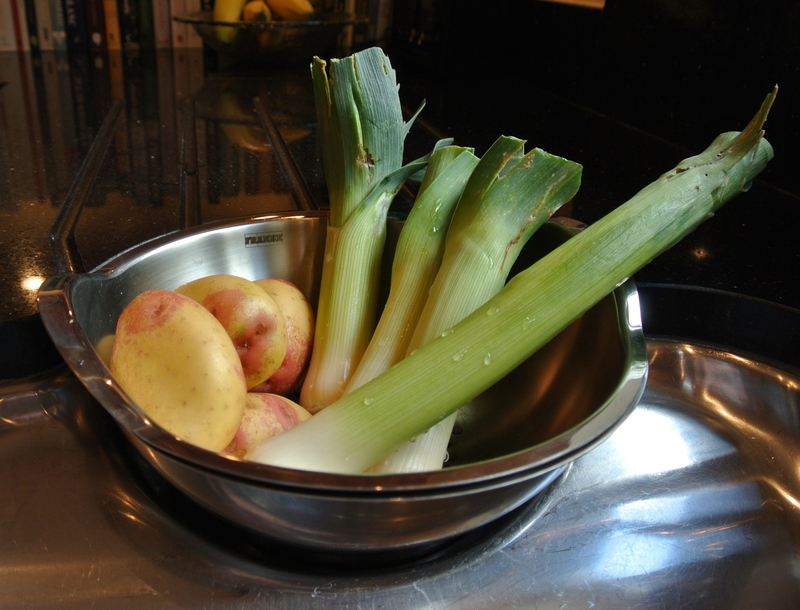 Gently simmer the leeks in the stock for 15 minutes until soft. Add the potatoes simmer for another 15 minutes. Add the cream and slowly reheat. Add salt and pepper to taste and serve. I chucked some sliced spring onion and olive oil on top, in the interests of making the photograph look pretty, but it really doesn’t need it. That comment has made my night. Thank you David. It looks delicious and so easy, I like a quick and easy soup, definitely giving this one a try! Thank you Laila. Let me know how it goes.